The University of Southampton offers its congratulations to former student Adrian Newey, who helped power Red Bull Racing to the Formula One drivers and constructors world championships. 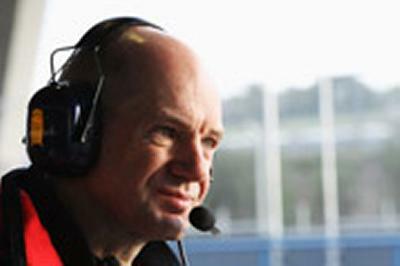 Adrian Newey, who is the world’s most successful Formula One car designer, led the engineering team to victory with a car that won nine races on the way to the constructors’ crown. Graduating in 1980 with a degree in Aeronautics and Astronautics, Adrian’s undergraduate project was designing a sports car in the University’s extensive RJ Mitchell wind tunnel complex, which is still used by today’s students on the same course. Dr Kenji Takeda, Senior Lecturer in Engineering Sciences, adds: “Adrian is not the only Southampton graduate in the team, with many more alumni from our Aeronautics and Astronautics undergraduate course, our unique MSc Race Car Aerodynamics course and extensive PhD programme, also developing the car. Even current students, on placement with the team, have been contributing while still studying for their degrees. With a world-class wind tunnel complex that helped the British cycling team and Amy Williams to gold-medal success in the Beijing and Vancouver games, the University of Southampton is well-placed to educate the high performance engineers of tomorrow. The University of Southampton has over five decades of research and development expertise in the high technology world of performance sport. Find out more here.